As it’s #Fahrenbruary in the land of social media, I wanted to take a wee moment to share some reviews of Fahrenheit Press books that I’ve read. So which review to share first? How do I pick which of the books I’ve read and enjoyed from this publisher to share … there’s the fantastic Danny Bird series from Derek Farrell, there’s the Sam Batford series from Ian Patrick, there’s the Charlie and Rose investigations from Jo Perry to name but a few. All of the books from Fahrenheit Press are available to purchase direct from their website or your choice of retailer. 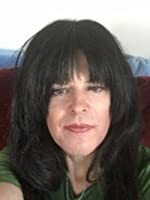 I’ve decided to group the links for the reviews in one easy place for reading, make it easier if any one wants to revisit any of reviews or indeed author features that I’ve hosted. Some of the Fahrenheit authors have been great sports and taken part in Celebrating Indie Publishing before so I’ve added links to these posts too. So there you have it, my contribution to to #Fahrenbruary, not a huge post but still a wee celebration of some great books and their brilliant authors. If you want to find out more about this publisher, their books or indeed the #Fahrenbruary thing, pop over to Twitter and search for #Fahrenbruary. I would also recommend checking out Mart on Twitter, he’s one of the guys behind this and his blog is Beardy Book Blogger, the other brain behind this is Matt Keyes, his blog is It’s An Indie Book Blog. Doesn’t that description grab you and have you wondering? It immediately caught my attention and when I got the chance to read an early copy, I jumped at the opportunity! With such a promising premise for a plot, I feel that it would be doing it an injustice to say very much about it, that and I would inadvertently give something away if I were to attempt to recount details of the goings on in this book. So instead, I want to focus on the characters that Michaelides has crafted. 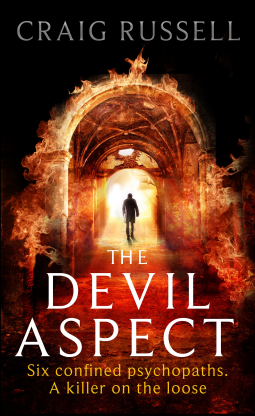 Theo is a character that readers will be intrigued by, both in his role as a forensic psychotherapist, and in his idea that he can get through to Alicia Berenson. He feels that he is the one that will break through her silence and help her find her voice again. His narration provides great insight into parts of his history and motivations, but as always in thrillers such as this, nothing is ever as clear as you might suspect. Michaelides slowly reveals more about Theo’s backstory, giving details about his childhood, his parents and his path to his chosen career. A glimpse into his relationship with is wife gives readers a different view of Theo, showing off the multifaceted character well. Using diary entries, readers get to know more about Alicia. They find out about events leading up to the murder of her husband Gabriel, witness her mental state and watch as she becomes more erratic. Her worries about sharing her thoughts with her husband make for a creeping and intriguing read. Her fears at times seem heightened by events around her, and her own backstory is one that I felt was quite fascinating and as more detail emerged it became enthralling reading. With such dominant characters taking centre stage, they need to have a spark about them, a something special that makes them stand out. The scenes that feature both Alicia and Theo are filled with tension, there’s a chemistry of sorts between them that needs to be explored and watching Theo trying to draw out Alicia’s voice gives a real feeling of unease. Silence can be creepy sometimes and Alicia’s lack of response really does add a something chilly to their meetings. An interesting thriller that has many people talking and one that seems to be winning many fans! When young Anna inherits a dilapidated once-grand hotel from her Great Aunt Mathilde, she’s determined to restore it to its former glory. But this is no ordinary hotel – all of her staff and guests are animals! Anna soon rises to the challenge. 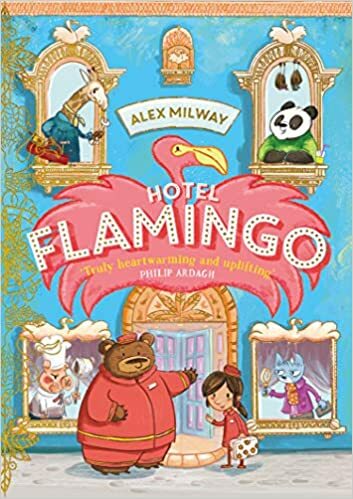 Whether it’s a flamingo, a penguin or a hippo knocking at the door, Anna is ready to welcome them all – with the help of her trusty sidekicks T. Bear the doorman, Squeak the friendly elevator mouse, and Lemmy the lemur receptionist … As she soon finds out, though, running an animal hotel is no easy task. Can Anna make Hotel Flamingo a success once more? With a beautifully bright cover festooned with images of the some of the characters who appear in the book. Anna inherits a ramshackle hotel from her great aunt, and the first time she sets eyes on Hotel Flamingo she is dismayed at the state of disrepair that it has fallen into. And she is even more surprised to find that despite the hotel appearing empty, there are members of staff still at their posts; a doorman named T. Bear and a receptionist named Lemmy. The madcap adventures to set the hotel back to the days of former glory are wonderfully exciting, the animals Anna and her team meet along the way are truly fantastic characters. From a giraffe who carries out repairs on the hotel, a mouse who operates the elevator, a skilled chef who happens to be a pig and hippo with a nose for dust. Today I am thrilled to be able to share a review of a book that has recently been republished by Bloodhound Books. The book in question is A Fractured Winter by the lovely Alison Baillie, a chilling and menacing thriller that utterly grabs the reader from the outset and doesn’t let go! When someone is out to get you, is there anywhere you can hide? From the outside, Olivia seems to lead an idyllic existence with her husband and children. But when she starts receiving notes, she knows her perfect life is under threat. She thought she’d managed to put the past behind her, but someone seems determined to reveal her secret. Meanwhile, girls are vanishing in the area and Olivia fears for her family’s safety. Has someone discovered the real reason she left Scotland all those years ago? And does her secret have links to the recent disappearances? There are books that you start reading and hate to put down, and then there are the books that that you will read whilst cooking supper and risk burning everything because you are totally entranced by the story. This is a tense and clever thriller that leeches a menacing chill, and that’s not just from the crisp vivid Swiss setting. Olivia on the face of things seems to have it all, the perfect family, the perfect home, but the appearance of a sinister note on day starts a catastrophic spiral that leaves her feeling like she’s lost control of her life. The note hints that someone knows about her past, knows the real reason she left Scotland a decade ago, and Olivia cannot bear to face that. If this wasn’t enough, the safety of her Swiss mountain is challenged when a young girl goes missing, Sandra, is the best friend of her young daughter which makes Olivia feel so much more connected to the disappearance. The way that Alison Baillie writes about Olivia’s emotions makes them so tangible, as a mother I could appreciate how our main character wanted to protect her children, no matter their age, from the dangers of the world. I could sympathise with the way that she was distressed at Sandra’s disappearance, and how it left her fraught with anxiety and drove her to be cautious about her children’s travels to and from school etc. Olivia’s worries about the sinister notes and her past are wonderfully written, readers cannot quite “see” the full details yet, but nonetheless they know that something menacing lurks in the shadows. And as we get to know Olivia more, we can understand her actions and begin to see how she has ended up in this position. The tale of Olivia and her life in Switzerland is superbly told along side stories of two other females, Marie and Lucy. Both Marie and Lucy have their troubles and hardships, and it’s hard not to feel some sympathy towards them when you discover the lives they lead. Indeed, I found at one point that I was holding my breath in shock at the events as they unfolded in their stories. Shrewdly, the way that their lives unfolded raised the question of whether it’s nature or nurture that impacts more on a person. I have to raise my hat to Alison Baillie, A Fractured Winter really caught me off guard, there were so many different characters that I wanted to suspect, something about them just screamed untrustworthy, shifty or sneaky but I had nothing concrete to back up my suspicions … Baillie ensuring that I could not preempt where she would lead me, before revealing the moment where I gasped in shock and wanted to applaud her. 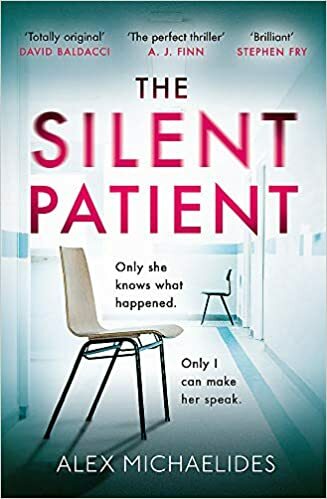 It’s fair to say that Alison Baillie has firmly taken a place on my list of authors to watch out for, and I cannot wait to see what she writes next! !